it's the most wonderful time of the year. all of your favorite brands introduce their holiday collections and makeup lovers everywhere squeeee for a chance to get their hands on their favorite products for great prices. even if you are not a makeup lover, now is the time to hit the pavement and pick up a few of items on your wishlist. the Laura Mercier Holiday Collection is always a favorite of mine. included in the collection are palettes designed to make your makeup-ing life a cinch and the Petite Baked Eye Colour Bon Bons are no exception. packed into a portable palette you receive three coordinating shades to create a colorful eye combination without over-doing the color. 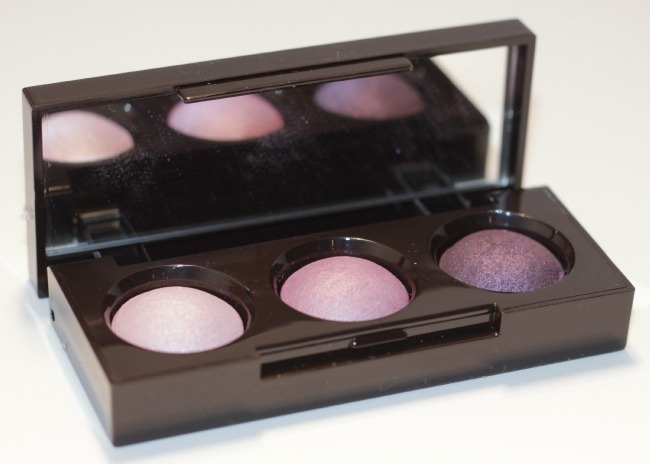 below are the Amethyst and Emerald palettes great for every eye color. here's a closer look at the Emerald palette on the eyes. the highlight color is from the lightest of the trio, the center of the eyelid is the medium color and the ending shade is the darkest from the trio. 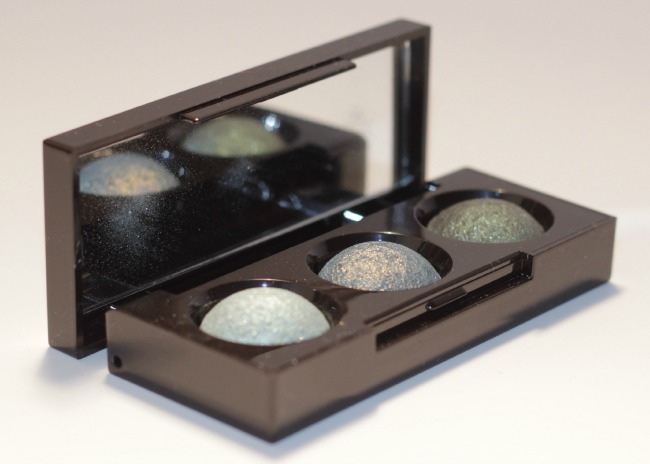 you can see the emerald color mixed with a bit of gold shimmer applies in a very flattering shade. stay tuned for even more holiday collections to come. I've never tried a baked shadow and I might have to give in to these haha. I love the colors of that first one!